In 1647 the Dutch East India Company (VOC) ship the Haarlem foundered in Table Bay. Fifty-eight of the crew were repatriated by accompanying ships soon after the incident, but sixty-two men were left behind to salvage as much of the cargo as possible. Upon returning to the Netherlands, the men reported favourably on their experiences. As a result, VOC management decided to establish a much-needed stopover for their ships. This station, known as the ‘Tavern of the Seas’, later developed into the city of Cape Town. The wrecking of Haarlem can thus be regarded as the catalyst that created one of the roots of current multiracial and multicultural South African society. This course draws on archival sources and archaeological surveys in its examination of the background to and consequences of one of the earliest recorded maritime incidents in Table Bay. Werz, B. 2017. The Haarlem Shipwreck (1647): The Origins of Cape Town. Pretoria: Unisa Press. Werz, B. 2017. ‘In search of the Nieuw Haarlem’ in: Ron Guleij & Gerrit Knaap (eds.). The Dutch East India Company book. W Books/Nationaal Archief, Zwolle. Werz, B. 2017. ’The Wreck of the Dutch East India Company Ship Haarlem (1647) in Table Bay and the Establishment of the ‘Tavern of the Seas’ in: Mariner’s Mirror 103:4. Werz, Bruno; Steenkamp, Willem & Prowse, Mark 2017. ‘Searching for a symbolic shipwreck in Table Bay: Haarlem (1647).’ South African Journal of Science 113, 9/10. Dr Bruno Werz, FSA, is a leading authority on maritime archaeology and history. His projects include underwater excavations of the VOC ships Oosterland and Waddinxveen (1697) in Table Bay, an extensive survey of sunken ships around Robben Island, and the excavation of sub-Saharan Africa’s earliest shipwreck near Oranjemund, Namibia. 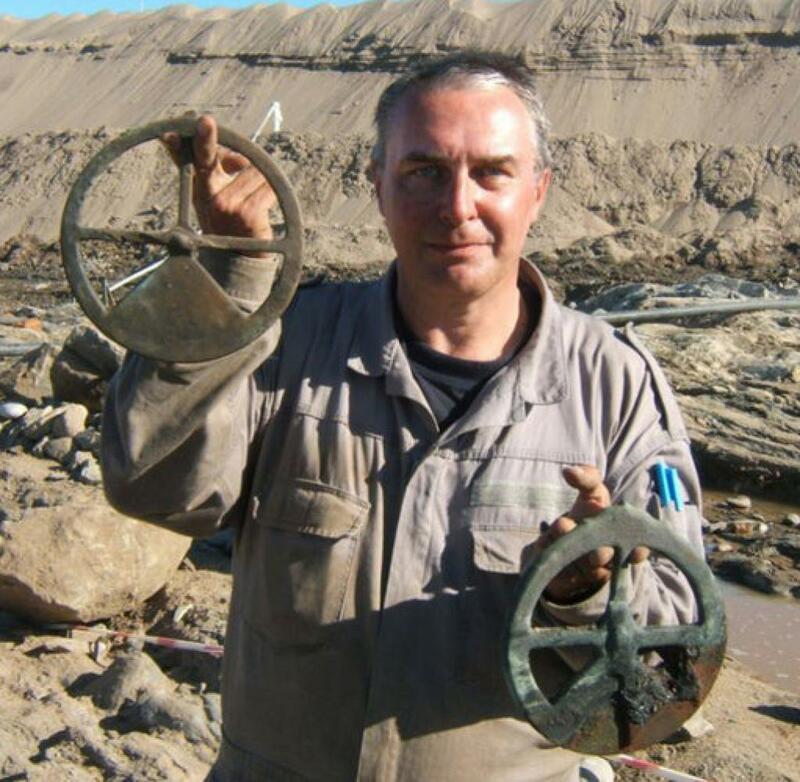 He is the discoverer of the world’s oldest artefacts from under the sea. Werz has lectured and published widely and is a member of the Royal Society of South Africa and other professional organisations. He was elected a Fellow of the prestigious Society of Antiquaries of London in recognition of his achievements. Werz is currently research co-operator for the Department of Historical and Heritage Studies of the University of Pretoria and Chief Executive Officer of the African Institute for Marine & Underwater Research, Exploration & Education (AIMURE).